This story of a home exchange to Manhattan in New York was shared with us by Kaleo. 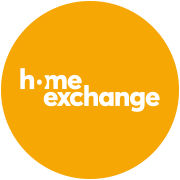 The ease and expediency of the home exchange. The host was very helpful in her conversations with me, before the exchange took place and was not overbearing. She put me in contact with someone in her Upper West Side building in order to provide me with keys to her loft. She’d also emailed me a very thorough pre-written instructions sheet explaining house rules and neighborhood suggestions. Sharing a meal with my host after the exchange was very memorable. I’d left some personal items at her home and returned to retrieve them. She cooked us lunch with the leftover groceries I left in her fridge.